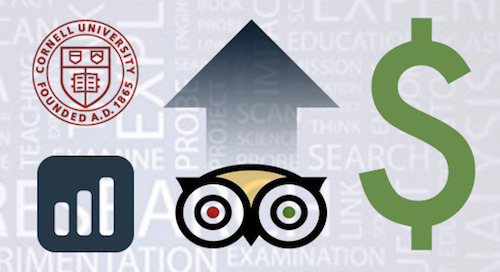 Today, online reputation is everything, and TripAdvisor is one of the major players in the hotel reputation space. When asked by TripAdvisor, 93% of travelers said that online reviews impact their booking decisions and 53% of travelers say they won’t book a hotel that doesn’t have any online reviews. Additionally, a study by Cornell University found that a one-point increase in a hotel’s average user rating on a 5-point scale makes potential customers 13.5% more likely to book that hotel. Clearly, monitoring and responding to online feedback should be a top line priority for every hotel. Whether you use our Positive Sandwich Method or you develop your own approach, your hotel has an opportunity to create response standards and methods that help win and retain guests. Online reviews contain a ton of data about what your guests are consistently praising or criticizing about your hotel. They're a great way to get real guest feedback about what you're doing well and ways you can improve. But online reviews are freeform text. This represents a problem for many hoteliers in that it's difficult to analyze the information to discover trends in the data. Fortunately, sentiment analysis technology has made it possible to analyze freeform text and quantify traditionally qualitative data. With sentiment analysis of your online reputation and surveys data, you can gain deeper insights on what your guests like and dislike about your property. You can use that data to make smart operational changes, inform your hotel marketing efforts, and even start to customize your guest experience to create brand loyalty. As you can see, overall, guests are saying some pretty positive things about this hotel, especially about the staff and the location of the property. 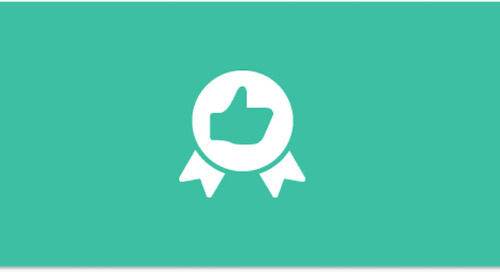 Hoteliers can use this to get really specific information about what guests are consistently praising. For example, the scores here are very positive for the in-room coffee maker, the internet access, and the iron and board. This is information the hotel can use to its advantage. Knowing what guests like about your property is the first step toward delivering an ideal stay. You can see here that guests are consistently complaining about noise, about the elevators being slow, about the water pressure in the bathrooms. 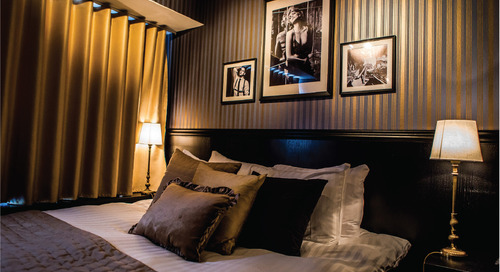 These are all areas that the hotel can focus on to improve its guest experience, its overall ratings, and ultimately, its online reputation. Essentially, online reputation isn't just about reacting at that moment. It's also about leveraging that data to make smart operational changes to improve the guest experience at your hotel. To get the most accurate picture of your guest experience, it’s important to get as much guest feedback as possible. Every hotel should have an automated guest satisfaction surveys solution that emails every guest asking for feedback after the guest checks out. With a digital survey, you can combine data with your online reviews to get a full picture of your guest satisfaction. And, with an automated solution, you'll get more survey responses with less time spent sending emails. You should also train staff to ask for guest feedback as part of every interaction with a guest. For example, if a guest asks for advice on what to do in the area at the concierge, that concierge should first give the information, then engage the guest a bit. It can be as simple as saying, "We love getting feedback, so if you have the time when you get home, feel free to leave us a review on TripAdvisor. Some hotels also give out cards to remind the guest at checkout." Ultimately, the more information you have on your guest experience, the better you can make your experience, and the higher your ratings will climb. 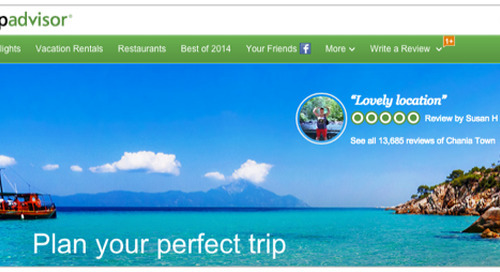 The full makeup of TripAdvisor's Popularity Index is proprietary, but they do tell us a few things about how it works. Based on traveler feedback, a property’s ranking on the Popularity Index reflects how it compares to other hotels within a geographic area. Hotels that are closer to the top of the list are more likely to be seen when prospective guests search for hotels in the area. 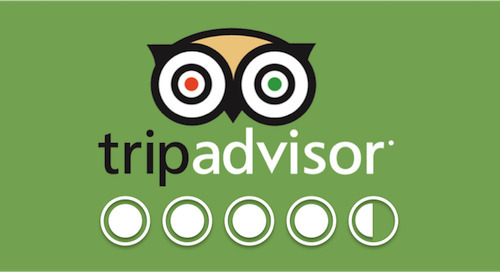 One way to get more reviews is to invest in a guest satisfaction surveys solution that has an option to submit surveys to be published on TripAdvisor. Really, there's no reason not to do this. 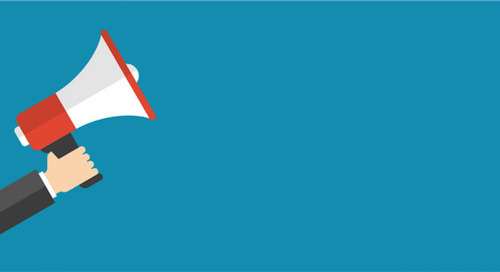 With the advent of review sites, your guests and competitors are already seeing your negative comments online. Additionally, it can actually help you to be transparent and make your feedback public. How? 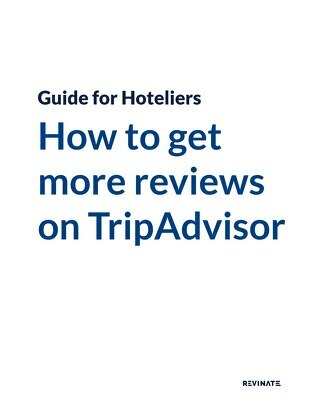 Combined with the fact that private feedback has a higher average review score, the sheer increase in review volume can have a huge effect on your property’s ranking on the TripAdvisor Popularity Index. 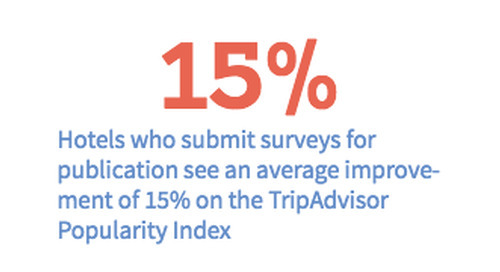 Additionally, according to our data, Revinate customers who submit their surveys to be published on TripAdvisor see a 409% increase in review volume on average. Consequently, it can really only help you to be transparent with your guest feedback and make it public. To see drastic improvements on TripAdvisor, look for a digital guest satisfaction surveys solution that allows you to submit your responses for publication on the world's largest travel site. 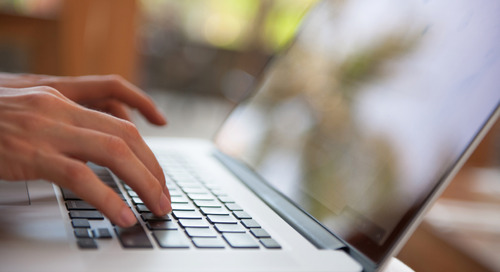 Online reviews aren't just great sources of data for your hotel. They're also great sources of data on hotels in your competitive set. Because this information is all public, you can also use it to benchmark yourself against the competition. What are they doing better than you? What are you doing better than them? How do you stand out from the crowd? 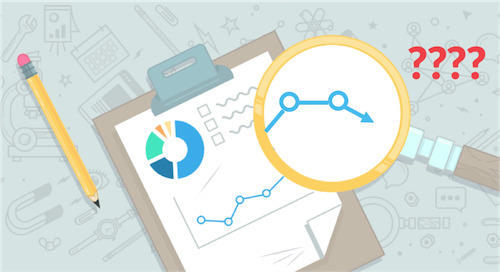 All of these questions can be answered with sentiment analysis on your competitors' review data. What good is review data if you don't use it? We've already talked about collecting your review data with a sentiment analysis solution to see potential areas of improvement. Some of these things might be relatively inexpensive. For example, if your guests complain that the check-in process is slow, the solution may be as simple as holding a staff training session to make the process smoother. But what about more expensive fixes? If, for example, you find that guests are consistently complaining about traffic noise or having too few power outlets, the solution may require a more significant investment. This is where your guest feedback data comes to your rescue. When you can show your boss data proving that certain areas are consistently and actively hurting your online reputation, he or she will be more likely to invest in improvements come budget season. 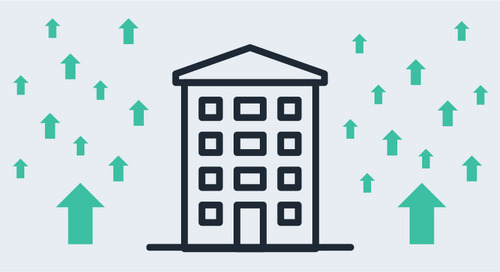 Revinate has many customers who have found that leveraging data to make smart improvements to the hotel has had a tremendous impact on their online reputations. 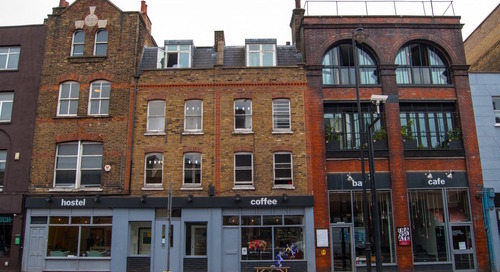 One such hotel is The Dictionary Hostel in London, who moved up almost 100 places on TripAdvisor by taking a data-based approach to its budget. CLICK HERE to access the interview notes. 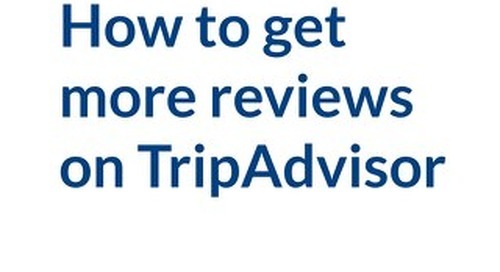 Above all, one of the most important things to remember when your goal is to improve TripAdvisor performance, is that TripAdvisor takes review verification very seriously. So, it's important not to try to boost your rating by writing fake reviews or asking someone else to do so. 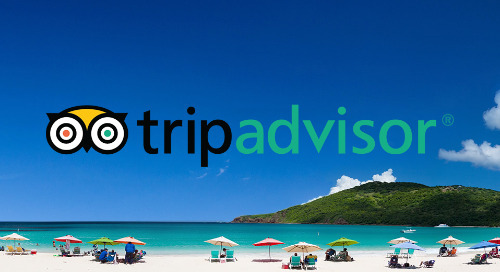 TripAdvisor has a zero tolerance policy for fake reviews, and subjects every review to approximately 50 filters for integrity and moderation issues. Suspicious reviews are subject to moderation by one of a bank of 300 content specialists, many of whom have backgrounds in law enforcement, credit card fraud, and even forensic computing. If you are caught breaking their terms and conditions, you may take a big hit to your Popularity Index Ranking. Want to learn more about online reviews? CLICK HERE to access our article on a phenomenon called Social Influence Bias.